I’ve been interested in the iconic Morton Salt Girl Logo for over ten years and find myself revisiting the image creatively. 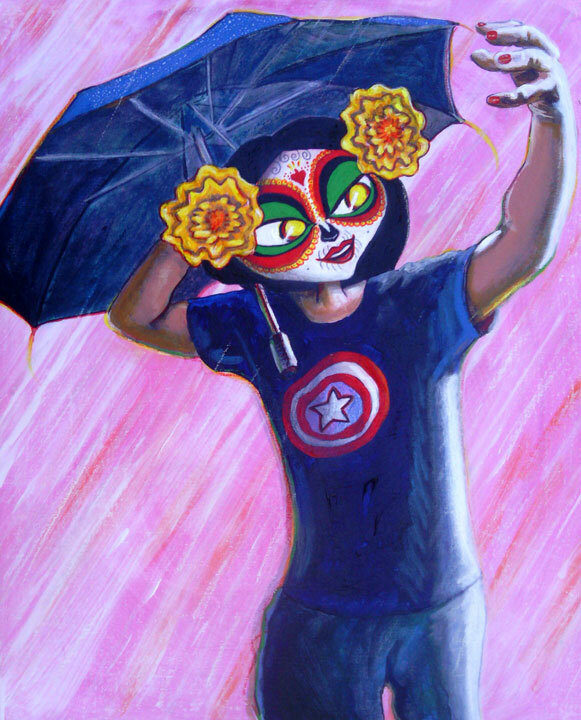 I have even included a hybrid Frida Kahlo as the Morton Salt Girl. 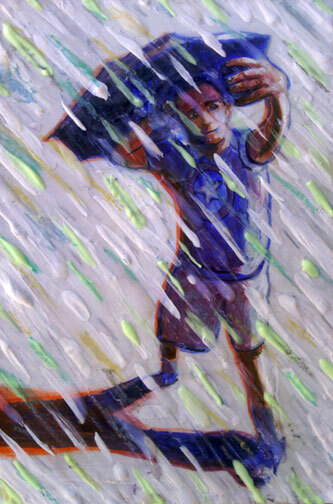 This painting is part of several of my series (and themes), including masks, Morton Salt Girl, Captain America logo, and, of course, the Selfie. I took the face from a central character in an upcoming Pixar movie, “Book of Life”, directed by Guillermo Del Toro. 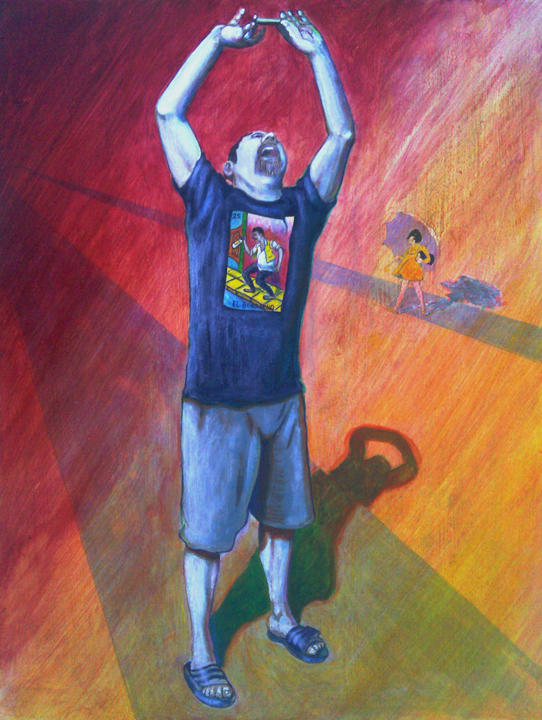 I was motivated to make a painting referencing “Dia de los Muertos” because we are entering Autumn and the season of Halloween, All Saints Day, and, of course, Dia de los Muertos (celebrated, venerated and observed on November 2nd in Mexican and pre-Columbian/Mesoamerican cultures for hundreds of years). 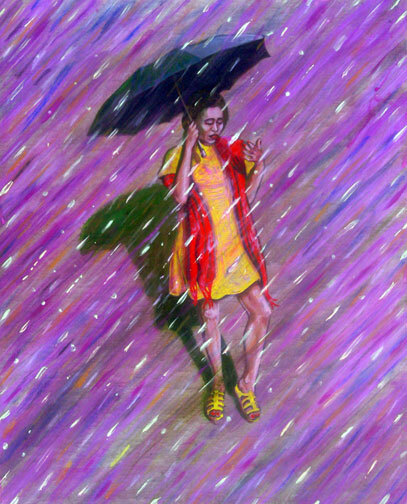 This is my newest painting in my Morton Salt Girl series. enjoy October… good times for sure! !